American Idol ends its 14-year run on Fox tonight, its legacy as a television and pop-culture powerhouse assured. For the better part of a decade, the singing competition was unstoppable, launching the careers of multiple recording stars (and a few superstars) while simultaneously keeping Rupert Murdoch’s network No. 1 in the ratings race. There can be no argument that American Idol has been anything but a triumph, from its first season to tonight’s swan song. And yet, the show is signing off— at least for now— even as unscripted veterans slightly younger than Idol (CBS’s holy trinity of Survivor, The Amazing Race, and Big Brother; ABC’s The Bachelor) successfully soldier on. Before grabbing the Kleenex and blubbering along to A Moment Like This one more time, let’s break down what got us to April 7, 2016 — the day the music died for American Idol. There’s no single culprit behind Idol’s demise, but there are several suspects — including, sadly, the person arguably most responsible for its success in the first place: Simon Cowell. The snarky British music executive turned talent judge reigned over Idol for its first nine seasons, captivating American audiences with his often harsh (and yet almost always correct) assessments of contestants’ abilities. Watching average Janes and Joes transform into celebrities was the key to Idol’s ascent, but Cowell was the secret sauce that kept viewers coming back. And then in 2010, he decided to leave. To be sure, ratings for the show were already dropping while Cowell was still a judge, and the Idol universe didn’t completely collapse after his exit: During the first season sans Simon, Idol easily remained TV’s No. 1 non-sports program — and, of course, it stayed on the air for six more years. But losing Cowell resulted in a series of unfortunate events for Idol, occurrences which irreparably harmed the franchise. The most obvious impact was on the DNA of the show. Losing Paula Abdul a season earlier had already messed with the judging panel’s chemistry, as had the earlier decision to add a fourth judge (remember Kara DioGuardi?). But those missteps were nothing compared to Cowell’s exit. 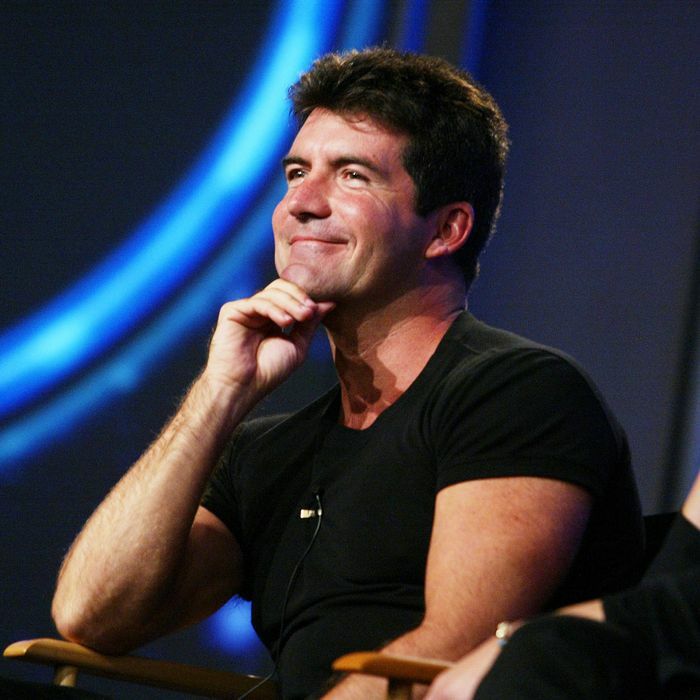 Even if his schtick had grown stale — it was clear Cowell was getting bored — his mix of caustic commentary and music-industry wisdom were a huge part of the formula that made Idol beloved and set it apart from past and future music-competition series. He wasn’t completely irreplaceable: Harry Connick Jr. and, at her best, Nicki Minaj, filled Simon’s snippy shoes well. But they weren’t Simon. As one TV-industry veteran told me this week, TV audiences crave comfort most of all. There’s a reason Law & Order: SVU (both original episodes and reruns) continues to do so well, so many years after it premiered. Cowell’s departure, coupled with Abdul’s, denied audiences the sense of continuity they crave from TV. It gave long-time fans on the fence about remaining loyal to the show a signal: It’s OK to stop watching. Unfortunately for Cowell — and Idol — history didn’t repeat itself with the U.S. X-Factor. For whatever reason, Cowell and Fox waited nearly 18 months after Cowell’s last Idol to premiere X, in September 2011. That long gap may have allowed viewers to forget how much they loved Cowell, but more disastrously, it gave NBC executives — led by unscripted chief Paul Telegdy — the chance (and the impetus) to rush on the air a U.S. version of a hot new international TV show format called … The Voice. While not an exact rip-off of X, both shows featured celebrity judges mentoring “teams” of contestants. Along with those silly chairs, the team format was what allowed The Voice to stand out with American viewers — and what made X feel stale rather than fresh when it premiered five months later. Instead of a cool new twist on Idol, Cowell and Fox were left with what some American audiences found to be a “me, too” clone of The Voice. X-Factor never came close to living up to Cowell’s pre-launch predictions of success, and while it soldiered on for three seasons, it was ultimately a flop. What’s more, even if Cowell’s decision to strike out on his own was a key turning point in Idol’s lifespan, it would just be dead wrong to assign him sole blame. It would’ve been incredibly brave (and possible financial suicide), but Fox leadership could have opted to have Idol rest for a season, moving up the premiere of X-Factor to early 2011. Since Cowell was determined to bring X stateside, there was probably no way Fox could have prevented him from doing so, short of throwing him obscene amounts of money. But with a one-show-a-year strategy, X would’ve beat The Voice to air, and rather than looking like it was getting greedy by having two singing shows on its air, Fox might have been better able to bring the Idol audience into the X fold. If X had significantly underperformed what Idol had been doing in the ratings, it would’ve been easy to simply bring the latter show back in January 2012 — tanned, rested, and ready to take on NBC’s fledgling The Voice (assuming NBC still bothered to launch its rival). There are literally millions of reasons (read: dollars) this didn’t happen, and if it had worked, it might have actually forced Idol off the air much sooner. But Fox also might have a stronger, younger singing competition on the air right now. It’s also worth remembering that Idol over the years was overseen by a small army of executives and egos, all with competing interests and very strong ideas about how each season of the show played out. Entire books have literally been written about the backstage drama, and more will probably follow in coming years, but because Idol was such a massive hit and moneymaker for so long, a lot of very smart people fought over how best to keep the show “fresh” and “relevant” to audiences. It’s not hard to think of mistakes these folks made: Expanding to four judges, pitting Mariah Carey against Nicki Minaj, favoring White Boys with Guitars for too long, ignoring Nashville artists, focusing too much on bad contestants. On balance, Idol was an incredibly well-produced show for much of its run, and as noted at the beginning, its 14-year existence can only be called a triumph. But there were plenty of unforced errors, and those screw-ups all played a role in diminishing the show. Of course, there’s also a case to be made that Fox is actually making a mistake by canceling Idol — or at least calling this year “the final season.” While the show long ago ceased being cheap to produce, even now, Idol retains a considerable fan base. It’s currently drawing a weekly audience of 9.5 million same-day viewers (with about two million more watching later in the week). While that’s less than one-third of Idol’s peak viewership — 30.5 million during the 2005–2006 season — it’s also still big enough to make it Fox’s second-most-watched regular series in terms of same-day viewers, behind only Empire. (And no, the hoopla surrounding the end of the series didn’t produce a notable spike in audience this season.) Fox would likely face a torrent of awful PR if it were to suddenly uncancel Idol now. But Idol creator Fuller has already been making noise about his desire for a relatively quick reboot of his franchise, perhaps with some new tech bells and whistles. Maybe we’re just a couple of years away from Snapchat Idol launching on the Oculus Rift virtual reality network.